SteelBird and mr.bean like this. mr.bean, mys_721tx, Bltizo and 3 others like this. bruceb1959, mr.bean, mys_721tx and 3 others like this. A few more from Zhuhai... Last two photos have people posing next to it, which makes it easier to get a size reference. bruceb1959, mr.bean, mys_721tx and 6 others like this. 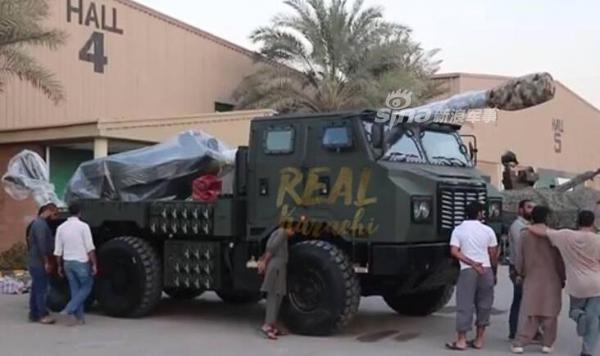 According to someone who has supposedly read the 12th issue of Modern Weapons magazine, an unspecified Middle Eastern country has decided to purchase the SH-11 and PLZ-52 howitzers to replace their M109L and G6, respectively. Anyone know how credible Modern Weapons magazine is? Which country is that supposed to be? The UAE? There are not that many countries with the G6 in service. I think modern weapons is considered quite respectable. And in terms of replacements, do you perhaps have them the wrong way around? Can MLRS be used against naval forces?